For me, there are generally 3 types of restaurants: the ones that everyone knows about, those that are local gems and ones that only serve a specific purpose. The latter of the 3 include lunch spots that are not open for dinner nor the weekends. Hence, they are only frequented by the people who work nearby. For me, I do have a particular interest in these joints because there could be something interesting. 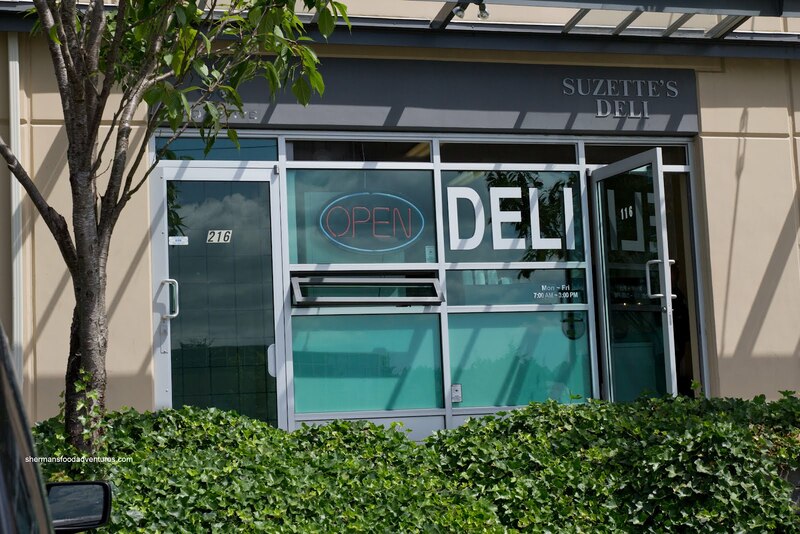 That is the case with Suzette's Deli. 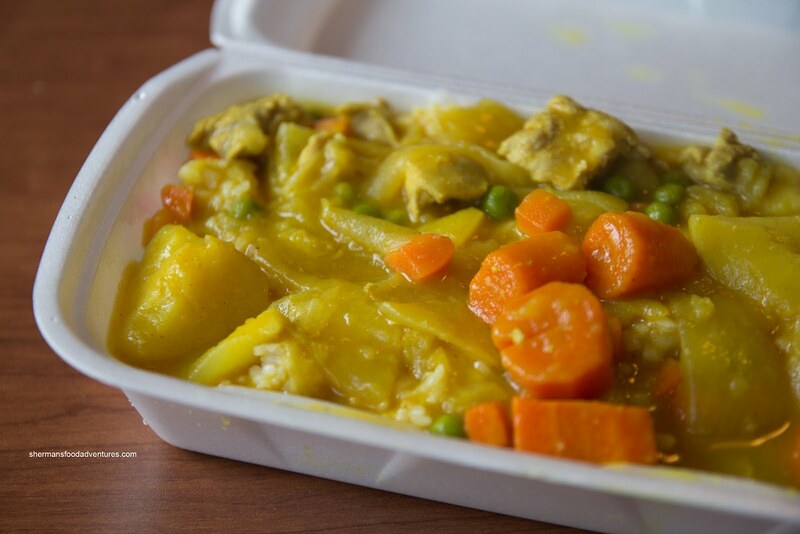 Located in a business park next to Home Depot in Burnaby, it is the epitome of a local lunch sp ot. However, they serve one item that is slightly more interesting than the typical turkey on whole wheat (they do have that too...). 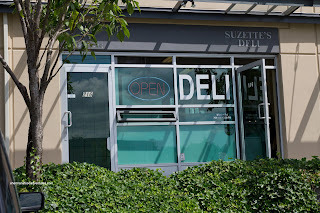 Seeing how I was at Home Depot anyways, I made the quick walk across the street to Suzette's. I didn't drive over because there are only 2 parking spots for the place and they are usually occupied. Upon walking into the place, I was greeted by a nice young lady who appeared to the daughter of the Korean couple who run the place (son was on cash). They w ere all very nice and efficiently pumping out the orders for customers. I noticed that they had some Asian options as well. Hence, I gave the Chicken Curry a go. It was a typical starch-thickened yellow variety. It was not spicy at all and actually quite bland considering what it could've been. The veggies were cooked nicely being soft yet not falling apart while the chicken was sufficiently moist. When mixed with the chewy rice, it was a good value meal. The Chicken Schnitzel Sandwich was something definitely dif ferent from the run-of-the-mill stuff you get at lunch sandwich spots. It was somewhat thin, but there was still enough meat. The edges were a bit hard (due to sitting in the warming display case), but the rest of it was still crispy. 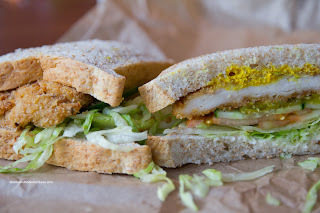 When sandwiched in between 2 slices of soft bread along with the other ingredients, it was an enjoyable lunch. 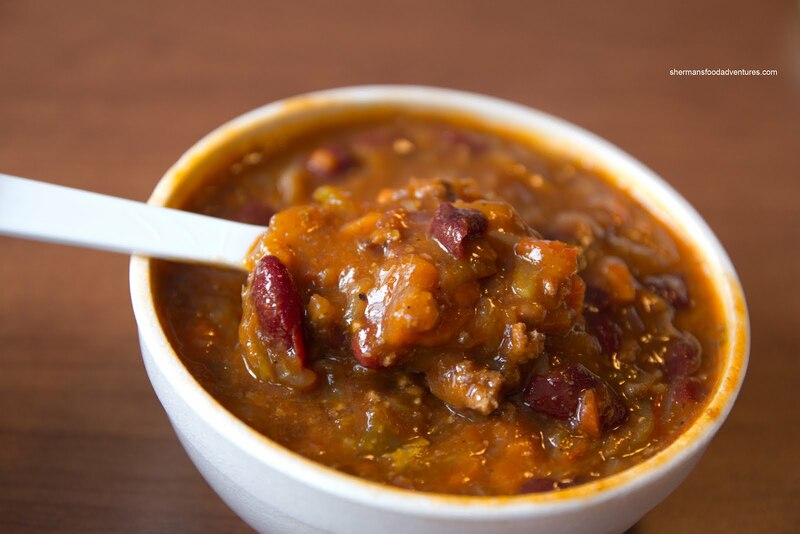 I got a side of Chili, which was thick and full of veggies along with meat and kidney beans. It was on the sweeter side and didn't have much in the way of heat. By virtue of being a lunch spot, I was not expecting anything mind-blowing. And in the end, it wasn't. Yet, it was decent and inexpensive. I guess we can't expect anymore than that.